Riders at YHM can request Uber when leaving the airport. Learn how to receive these trip requests and get in on the action. Riders at YHM can request Uber when leaving the airport. Here are a few things to keep in mind. Trade dress: The Uber vehicle decal (trade dress) must always be displayed on the rear passenger window facing outward. Driver-partners can obtain this Uber decal by mail by using this form. All pickups and dropoffs at YHM will now have a $1 and a $2 surcharge automatically added to the fare respectively. This surcharge will be remitted to the airport by Uber. Your agreement has been updated to reflect this change and it will not impact your earnings. It's easy to receive trip requests from riders leaving the airport. 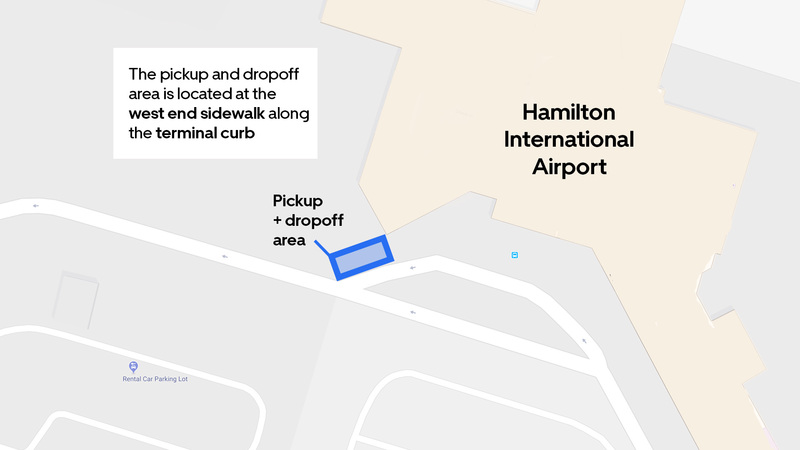 The dedicated pickup location is located at the west end sidewalk along the terminal curb. You‘ll only get trip requests at the airport when you’re located in the waiting lot. Once you enter the lot, you’ll be placed in a virtual queue where the first driver to enter will be the first to receive a trip request. 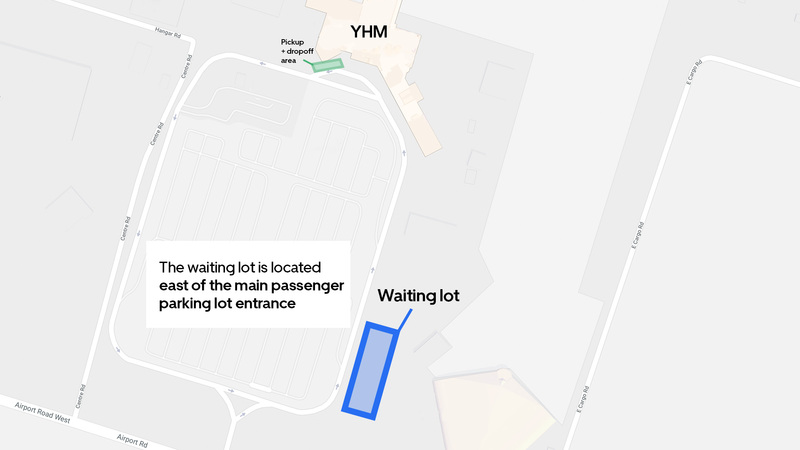 The dedicated dropoff location is located at the west end sidewalk along the terminal curb. Keeping the airport waiting area clean: The rideshare waiting area at YHM is equipped with toilets and trash cans. The facilities at the waiting area is on YHM property and for everyone to use. Being respectful of these facilities and the grounds creates a better environment for everyone. Checking the arrivals schedule: Checking the arrivals schedule at YHM can help you maximize your earnings with information about when flights will be landing at the airport and when it will be the busiest. See YHM arrivals schedule.